Our two-bedroom bungalows are full-on romantic retreats cloistered for exclusivity. 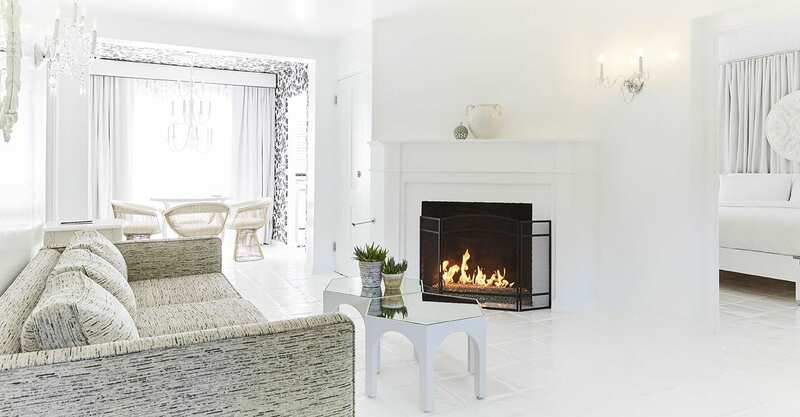 They feature spacious living rooms with fireplaces, dining rooms, and kitchens up to six guests. Here, we personalize our boutique services and amenities for personalities in residence. Each of these 13 storied villas re-imagine Palm Springs’ golden age with fresh-faced exuberance and a wink of Hollywood style. Your King beds have been made with only the finest imported linens; custom down comforters and oversized hypo-allergenic down pillows. You’re not healthy, unless your sleep is healthy.